He’s wicked glad we are home. Even though I’m not home, I’m wicked glad you are as well! Vacation is always great, but I’ve always thought an extra few days before to get ready and a few days afterwards to catch up would make it even better. Glad you had a good time and Mason is happy! 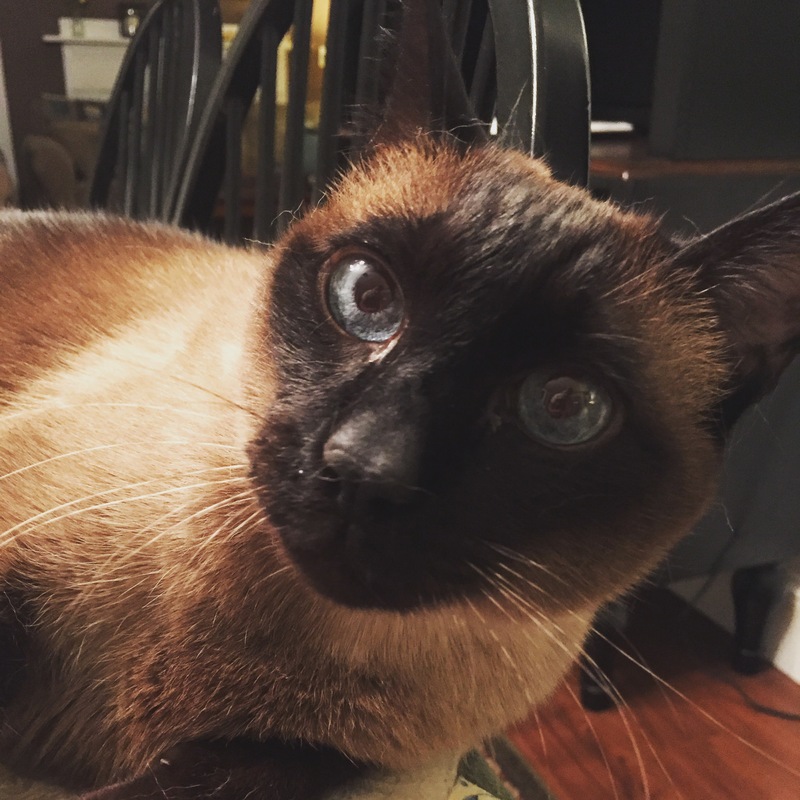 We came home from a long vacation once, only to find our (then) Siamese, Sebastian, irate about our absence. He yowled so much that he lost his voice! I see that look in Mason’s eyes…glad you are home, yet hrmph! Welcome Back! hope the re-entry is calm and peaceful so you have time to give Mason all the attention he clearly expects! Wicked glad! Love that phrase. Glad you had such a good time – looking forward to hearing all about it. Re-entry never seems easy, does it? That is the look of a cat that may now commit a bit of mayhem knowing that his food bowl will be well tended. Good luck, and welcome back! You were missed. I adore your cat, Mason. Why don’t you tell us Ten things you love about your cat? Unfortunately, my husband is allergic to cats so I’m not able to have a furry friend. Glad you’re back! Mason! Your people have returned 😉 welcome home.